Please note that meetings now alternate between evenings and afternoons to ensure that as many people as possible can attend. But we always welcome feedback from members about what would make it even easier for them to participate. In 2018 we decided to move our regular meeting venue to the Oxford Hub so that meeting attendees could enjoy a drink or a cup of tea in its pleasant surroundings. The first drink is provided free by OFTC! We are delighted to be associated with Oxford Hub, a charity offering practical volunteering, skilled placements, project incubation and events. It also works in collaboration with over 40 student groups and projects ranging from community gardens to homeless charities, from groups that volunteer in local schools to groups that tackle loneliness amongst older people. And because it is also the home of the Turl Street Kitchen restaurant, you can enjoy delicious, seasonal, local food after the meeting! 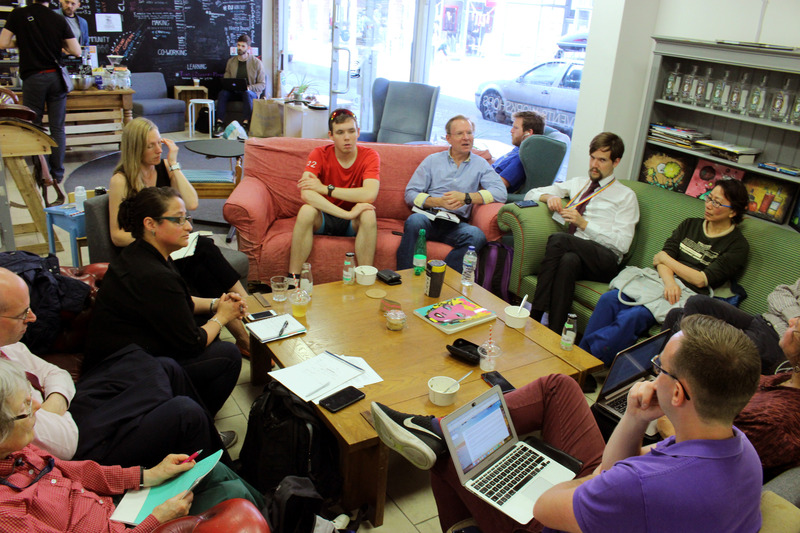 Occasionally, if Oxford Hub isn’t free, other members host the meetings. Please let us know if you can host occasional meetings. Thank you.